What are commercial residential premises? when is someone acting as an agent? when can an agent claim ITCs? Castan – is a manager of a strata titled hotel an agent? Purchasing a reversion – what is the supply? Does the supply survive the sale of the property? A going concern or a GST free supply? 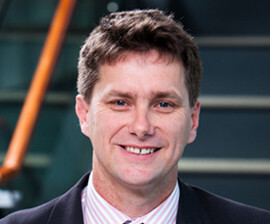 Murray is an associate in Cooper Grace Ward’s commercial group specialising in tax disputes and advice. Murray provides advice on a broad range of income tax and indirect tax issues. He regularly provides income tax, duty and GST advice to clients at all stages of land subdivision and development. This includes providing advice to clients in relation to the income/capital distinction and in drafting private ruling applications in relation to both the income tax and GST issues that arise during developments and subdivisions. He also has significant expertise in resolving tax disputes in areas such as: international tax and residency issues; employee share schemes; non-commercial losses; GST; and payroll tax. Prior to joining Cooper Grace Ward, Murray spent four years working in the Australian Taxation Office. This experience provides Murray with a unique perspective when dealing with ATO.